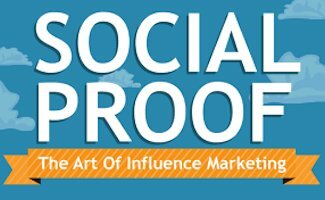 What Is Social Proof Marketing & Why Does It Matter? Social Proof Marketing- Every day, we make more decisions than we even realize. Those decisions come as a result of how we’re conditioned and influenced by the people around us — both people we know and strangers’ words that we browse through. That influence is known as social proof, a psychological phenomenon wherein people use the actions of others to guide them in their choices. In order to capitalize on social proof marketing, you must be aware of the social proof that surrounds your business. Understand that social proof encompasses reviews, customer stories, and native content is just the beginning — but an important start nonetheless. If your business exists, you’ve already built social proof. Even if you’re just familiarizing yourself with the concept, the social proof has already taken root. Have you received positive reviews or emails, or received a lot of comments on a particular blog or social media post? That’s social proof in action, and should be utilized. To build social proof, you have to offer a great product or service. Why? Simply put, a good product or service compels a wide variety of people, and the social proof that results comes organically and without solicitation. For these reasons, social proof marketing is an incredibly important aspect of growing your business. Next week, we’ll discuss the different, tangible ways you can build and capitalize upon social proof, even from the ground up. See how eEndorsements can help.